Democratic Senator from Louisiana who came to national attention after Hurricane Katrina, when she publicly criticized the federal response to the natural disaster. She received her baccalaureate degree from Louisiana State University in Baton Rouge before working as a real estate agent and being elected a state representative. She sponsored a Senate resolution by which the U.S. Senate apologized for not enacting anti-lynching legislation during the early 20th century in 2005. 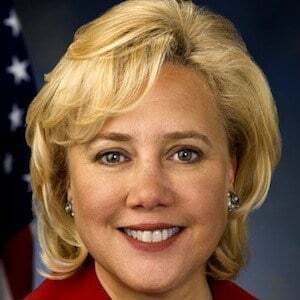 She is the daughter of former New Orleans mayor and Secretary of the United States Department of Housing and Urban Development, Moon Landrieu. Her brother Mitch became the Mayor of New Orleans after serving as the Lieutenant Governor of Louisiana. She helped form the "Common Ground Coalition," a group of moderate senators of both parties with former Senator from Maine, Olympia Snowe.